New Hampshire Sen Jeanne Shaheen joined the chorus of Democratic senators weighing in on Senate hearings to fill the seat left open by the late Justice Scalia. She said, "The President should nominate and the Senate should confirm. That's the way we've always done it. 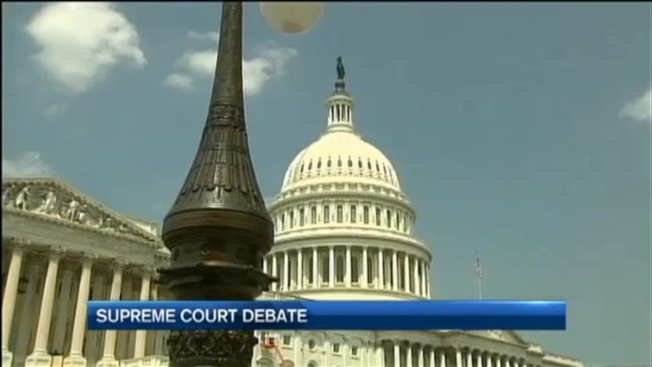 There's a precedent for confirming justices in an election year." Shaheen thinks it's unfortunate that the death of Supreme Court Justice Antonin Scalia has become so political so quickly. But Clark University political science professor Mark Miller is not surprised. He said, "This is the perfect storm. Whoever has the next nominee will control the court for decades." Miller, a one time Supreme Court judicial fellow, says all parties are doing the calculus for what's good either for their party or for their own job. He points to New Hampshire Sen Kelly Ayotte, up for reelection in New Hampshire. Monday she said, "We should let the people of the country speak and then let the confirmation process go forward." Miller's reaction: "The fact that she came out and said that she would not support an Obama nominee is a nod to the tea party wing of her party in New Hampshire." Vermont Senator Patrick Leahy, the ranking member of the judiciary committee, says in all his years in the Senate he's never heard anything so irresponsible from either party. Leahy says an extended Supreme Court vacancy brought on by Republican obstruction could have a devastating impact on Americans seeking justice. Leahy said, "The only time we've gone a year with an absent member of the Supreme Court was during the Civil War. Do the Republicans want that to be there legacy?"